Bobcats are a rarely seen animal, but that doesn't mean they aren't around. They can weigh up to 40 pounds which makes them very dangerous to humans as well as pets. Bobcats establish and defend a territory and will attack if approached by humans, especially if they are defending young. A highly fatal disease of domestic felines, Cytavxzoonosis, is carried and transmitted by bobcats. The disease is spread by ticks so your pet does not have to come in direct contact with the bobcat. Death of domestic cats, from this disease can occur in as little as 1 day or may take up to 6 days. And as with most North American mammals, bobcats are a vector for rabies which is deadly to humans and pets. Why you shouldn't try to handle a Bobcat problem yourself? As mentioned earlier Bobcats can weigh up to 40 pounds. They have been known to kill baby deer, and will not hesitate in attacking humans. Especially when defending their young. They are extremely dangerous. Their size, ferociousness, and their ability to carry rabies make them an animal that should only be handled by professionals. 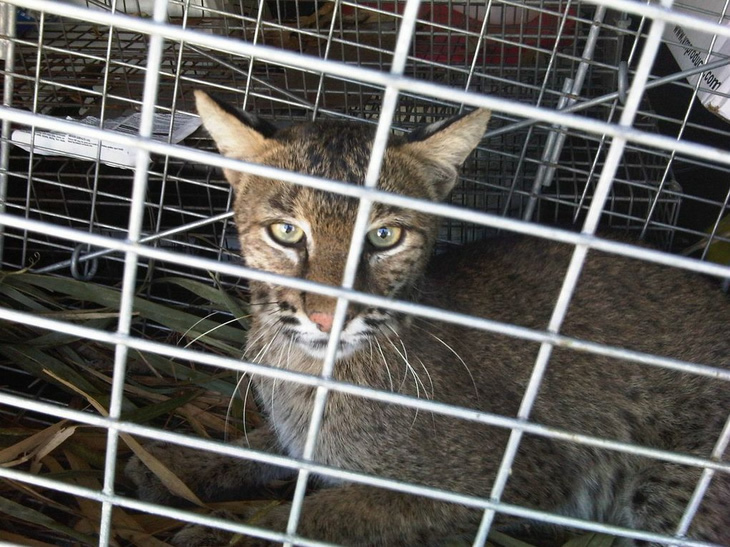 Urban populations of bobcats are increasing because of encroachment into their habitat. Their diet includes mice, rats, squirrels, chickens, small fawns, wild birds, rabbits, feral cats, pet food, and pet dogs and cats if the opportunity arises. The female raises the young alone. One to six, but usually two to four, kittens are born in April or May, after roughly 60 to 70 days of gestation. 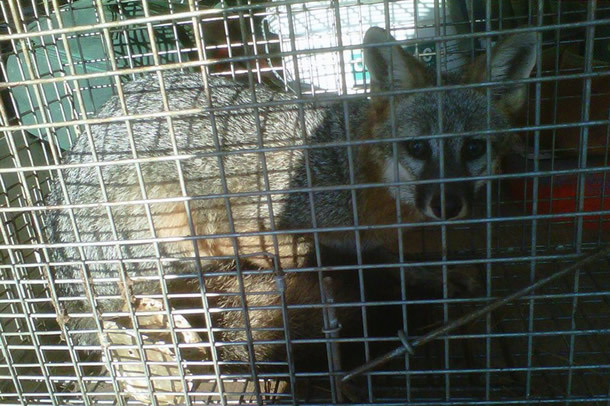 Foxes are not hazardous to adults except while they are rabid or are captured and handled. Even then, it requires a lot of handling for a fox even to defend himself by biting. Foxes are however hazardous to unattended babies or small children. Red foxes occasionally prey on little house cats or kittens and will take little animals such as rabbits, guinea pigs, and poultry while they are left outside undefended. Rabid foxes are the main carrier of a strain of rabies that infects them as well as other animal species. In various parts of the country, foxes carry the echinococcosis tapeworm, which can cause a dangerous and sometimes deadly disease in people. What Should You Do If A Fox Is Near You? Call Xceptional Wildlife Removal! We'll be there in a hurry to remove the fox. It?s not all that uncommon to notice a fox out at some point in the day. Foxes prey on squirrels and birds, who are only active during the day. Hence if you notice a fox out during the day, he?s as apt to be looking for a meal as sick and disoriented. Do not move toward the fox yourself. Store waste securely or leave it outside only on the morning of collection. Don?t leave pet food outside. Never deliberately feed wild animals such as foxes. Keep area underneath birdfeeders free of spilled seed. 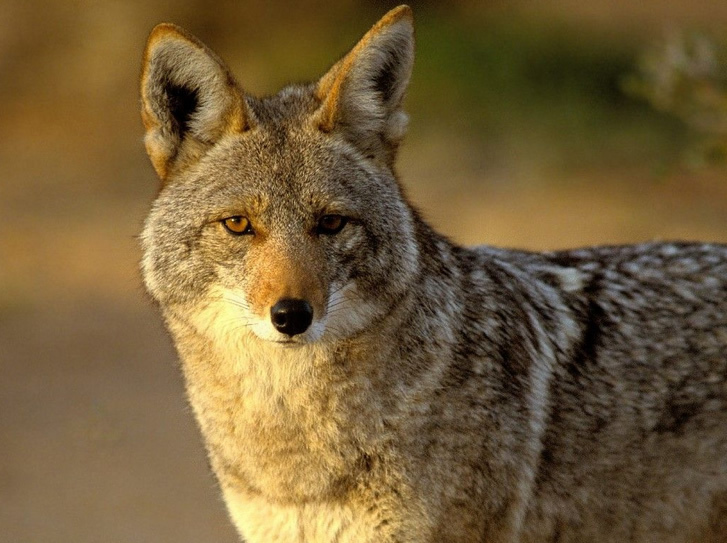 Coyotes, like all warm-blooded animals, may contract rabies. Their strong similarity to dogs places coyotes at greater risk where there are populations of unvaccinated domestic dogs. Modern advancements in rabies control using oral bait to vaccinate wild animals without having to trap them have made controlling the spread of rabies in coyotes much more effective. These rabid coyotes might bite small children if the opportunity presents itself. A coyote who has bitten a person will have to be exclusively targeted and removed from the population. Why you shouldn't try to handle a Coyote problem yourself? Time and again, coyote attacks are preventable by modifying human behavior and educating people about ways to prevent habituation. When coyotes do not run away when approached or charged by a human, they are probably "habituated" to people. Habituated coyotes may even approach people, searching for food handouts. In various human assault incidents, it turns out that the offending coyote was being fed by people. In various other instances, people were bitten whilst trying to rescue their free-roaming pet from a coyote assault. Less often, people are bitten by cornered coyotes or even rabid coyotes. What Should You Do If A Coyote Is Near You? Call Xceptional Wildlife Removal! We'll be there in a hurry to remove the coyote. If this is not immediately possible then you should performing a hazing technique. Hazing is an activity or series of activities performed to re-instill the natural fear of people back into coyotes and deter them from backyards and play spaces. It is often as simple as making yourself loud (by yelling or using homemade noisemakers) and large (by standing tall and waving your arms).